A few years ago, the United Group of Companies, Inc. (United Group) singlehandedly created an award-winning, innovative seven-prong program geared for active adults at all of their independent senior living communities across the country. It’s called the Senior Umbrella Network (SUN) Program and encompasses important topics like health and wellness, and fosters active independent living. 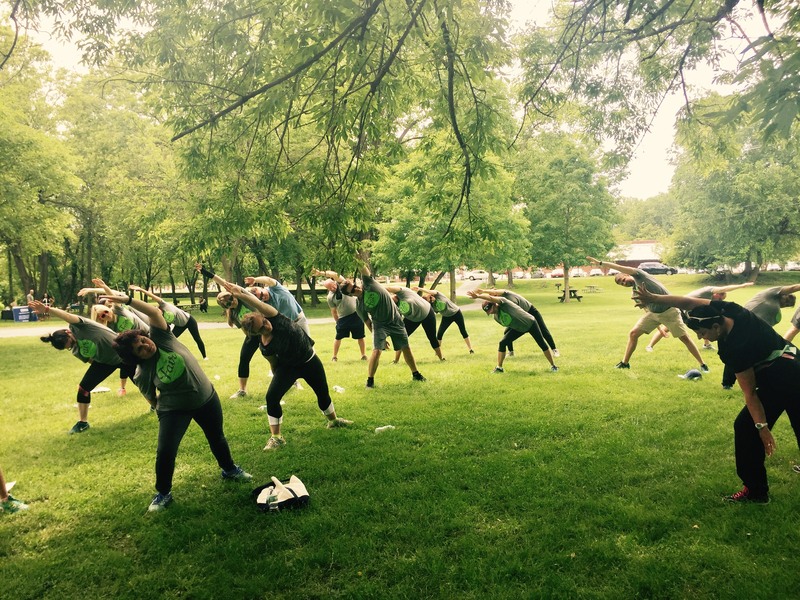 They’ve been emphasizing healthy habits and an active lifestyle ever since, and it turns out, the United Group team practices what they preach. The Wellness Fair kicked-off with a group nature hike on the banks of the Mohawk and Hudson Rivers. It was a perfect opportunity to enjoy some fresh air and take in all the beautiful views of where the two mighty rivers converge. Following the hike, everyone enjoyed healthy sandwiches, salads and fruit for lunch and listened to health experts including Diane Hart from BlueShield of Northeastern New York. Diane was recently inducted into the National Fitness Hall of Fame and gave an engaging and captivating speech about the importance of consistent exercise and sensible eating and drinking. The Wellness Fair wrapped up with a raffle giveaway. The big winners received gift cards, gift baskets, a FitBit, and a weeklong-stay at the White Face Lodge! The entire United Group team left the Wellness Fair feeling reenergized and ready to tackle life’s health and nutrition challenges. And to top it all off, the weather was perfect!